iDGARD is a GDPR compliant, secure cloud-based service made in Germany. Developed with a focus on security, iDGARD provides easy to use online communications and data sharing capabilities for effective collaboration with both business partners and clients. With iDGARD you can easily set up data rooms (privacy boxes) for projects, replacing less secure and hard to use FTP services. Our product provides your business with fast, collaborative access to your data from a computer, mobile, or browser. The Sealed Cloud technology behind iDGARD has been patented in both the EU & US, giving us a unique position in the market. Our product takes care of all your key management concerns, bringing you the peace of mind that your data is secure, and thus, allowing you to focus your efforts elsewhere. Our team believes that the security of your data should not be affected by the usability of our products, viewing usability as a fundamental requirement in secure system design. iDGARD has been developed around this philosophy, with the Sealed Cloud technology providing unprecedented levels of security to support its convenient and simple to use design. The technology behind Sealed Cloud was developed by a Uniscon led consortium of technology experts, including SecureNet, and encryption specialists at the world renowned Fraunhofer Institute for Applied and Integrated Security (AISEC). The consortium focused on developing cloud applications which exceed current and anticipated data security and privacy compliance requirements to support Germany industry. As part of TÜV SÜD’s Digital Transformation strategy, Uniscon specialises in maximum-security cloud applications and solutions for privacy compliant data communication. TÜV SÜD is a premium quality, safety and sustainability solutions provider specialising in testing, inspection, auditing, certification, training, and knowledge services. Represented by more than 24,000 employees across 1,000 locations worldwide, TÜV SÜD’s service portfolio adds value to businesses, consumers and the environment. Tapping on TÜV SÜD’s network, Uniscon will be able to implement major international projects in IoT and Industry 4.0 reliably with Sealed Cloud technology and its respective services. We now organize our communication for projects with participants from differing research institutes, universities, or broadcasting institutes with only a few clicks. Analysts of the Experton Group declared Uniscon’s iDGARDservice the „Rising Star 2015“ in Cloud Security. Said distinction is the result of the current study „Security Vendor Benchmark“, created explicitly for the German market. Uniscon stands for IT „made and hosted in Germany“. 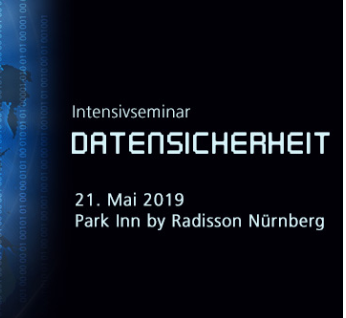 We are active in multiple technical organizations and forums and are members of various data privacy associations, such as the BvD (Federal Data Privacy Association) and the GDD (German Association for Data Protection and Data Security). Uniscon has powerful partners. Fraunhofer AISEC and Fujitsu support us with their technical expertise. PricewaterhouseCoopers, Samsung, and Ingram Micro support our sales, so we can offer our customers the best solution. it-sa is Europe’s largest expo for IT security and one of the most important events worldwide. Visit the speech from Uniscon CTO & Cloud Security Expert Dr. Hubert Jäger about the Sealed Platform as a basis for safe Facility Management. Our cloud service iDGARD was updated a few days ago. Find out about its latest features, here! Test the full functionality of iDGARD. Non-binding and without subscription! In 1 minute you are online. Do you wish personal advice? We like to help you. We introduce you to iDGARD as part of a free webinar.